I received a new Mac for my work computer and, of course, promptly installed 1Password. However, the browser extension will not work with Safari. I'm prompted with the following message & see attached screenshot. I've checked at least 50 times and the App Store tells me "no updates available." 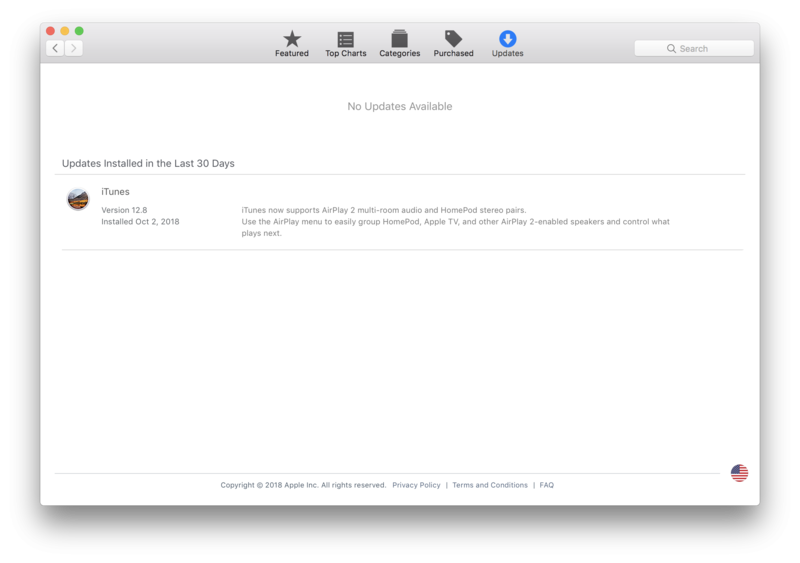 I know this isn't true because there's a 10.13.6 update if I'm not mistaken, which I assume would include Safari 12. I've restarted, logged out/in of the app store and even contacted Apple. not sure what's going on here, but my only workaround is to use Chrome which isn't my preferred browser and is a resource hog! Any ideas on what's going on and how I might be able to fix it? Thanks! Update: after clearing out the prefs and caches for the App Store, one update appeared and I was able to take the Mac to 10.13.6. 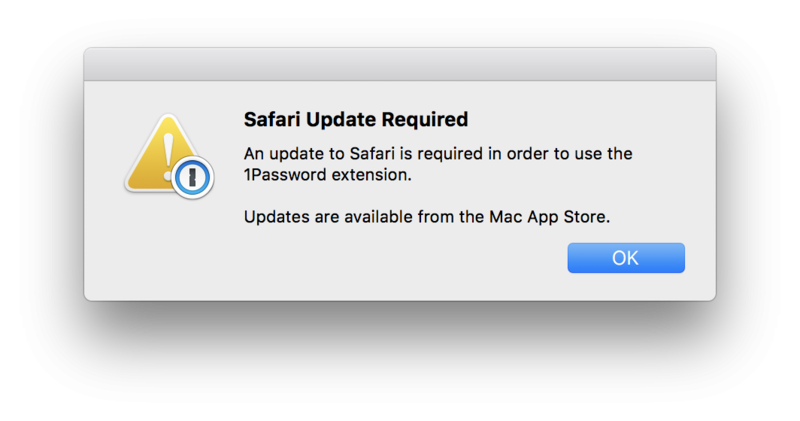 However, that doesn't resolve the issue I'm having with the 1Password extension nor does it supply Safari 12. Same error message. No more updates available. @brightpavilions: You'll need to enable the extension in Safari Preferences > Extensions, make sure that both the browser and 1Password are in the system /Applications folder, and restart your Mac to make sure nothing is hung up from how you had it setup previously. Let me know how it goes. @brenty I checked those requirements and followed the steps you laid out, but unfortunately the issue persisted. HOWEVER, guess what appeared in the App Store just now? Safari 12. Updated and boom ... we're good. I am sorry to read about all the trouble you had getting your Mac to update but at least it all ended well. Hopefully everything is running smoothly now and 1Password is working well. If that isn't the case please let us know.